Tonsillitis can be defined as the swelling of the tonsils due to infection. The tonsils are the two small pads of glandular tissue found at each side of the back of the throat that act as part of the immune system. They work by producing antibodies and white blood cells which then attack the germs found inside the mouth. The tonsils are essentially the body’s first line of defense against airborne bacteria, pathogens, or germs found in food, and act to block these from invading the body once they enter through the mouth or nose. As the tonsils always come into contact with outside particles, they are often inflamed or enlarged, usually without a problem. Tonsillitis occurs when there is an influx of bacteria or other germs and the tonsils can’t handle the workload and become overwhelmed, resulting in them becoming very inflamed and infected themselves. Tonsillitis can be caused by either bacteria or viruses, some of which commonly include: Streptococcus bacteria, adenoviruses, rhinovirus, respiratory syncytial virus, influenza virus, Epstein-Barr virus, Parainfluenza virus, Enteroviruses, or the Herpes simplex virus. Other bacterial causes of tonsillitis include staphylococcus aureus, Mycoplasma pneumonia, Chlamydia pneumonia, Bordetella pertussis, Fusobacterium sp., and Neisseria gonorrhoeae. Whether viral or bacterial, tonsillitis can be contagious and spread from person to person. Tonsillitis can also be caused by a secondary illness such as hay fever or sinusitis, in which case is unlikely to be infectious. Viral tonsillitis can be contagious for approximately 7 – 10 days, while untreated tonsillitis can be contagious for up to a fortnight. Bacterial tonsillitis which has been treated with a course of antibiotics ceases to be contagious around 24 hours after starting the medications. As an infant, the size of the tonsils remains quite small during their first year of life, and then increase in size as the child grows older. The tonsils are usually largest between the ages of 4 and 7 years. Tonsillitis can occur at any age but is more frequent in children. It can occur occasionally, or it can become a recurring problem. 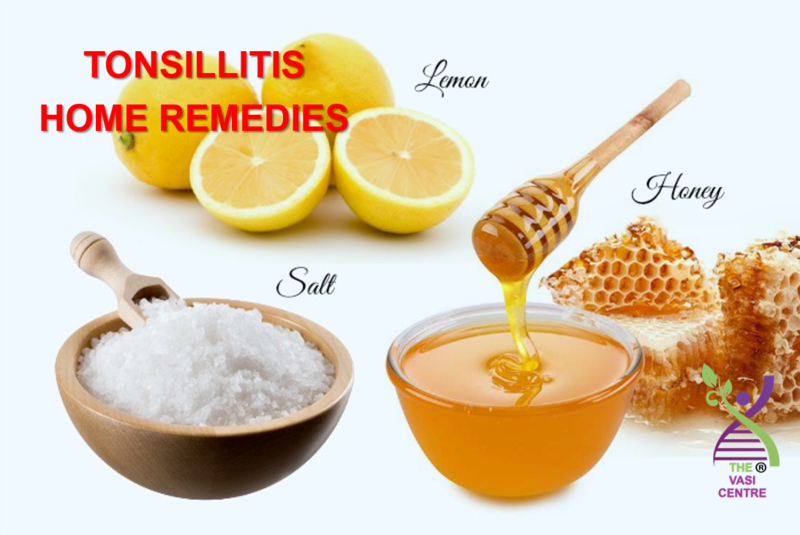 Tonsillitis can also lead to secondary infections of the nose, sinuses, and ears, as well as peritonsillar abscesses which are collections of pus which develop in the tissue surrounding the tonsil. Apart from that, tonsillitis can also be caused by drinking or eating cold foods and drinks due to the fact that they cause respiratory mucosa (protective layer covering the respiratory lining or tissue) to congest. When congestion of respiratory mucosa occurs, it exposes the respiratory lining to infectious agents, making it easier for viruses and bacteria to attack it, and leading to infections such as tonsillitis. In some cases, tonsilloliths may be present. Also known as tonsil stones, these are essentially calcified build-ups of material in the crevices of the tonsils. 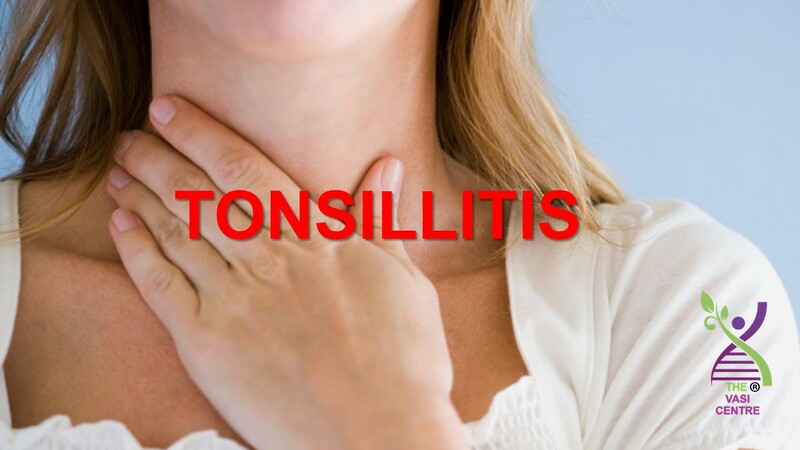 Tonsillitis is diagnosed by having a doctor examine the patient’s throat and neck area. Because viral and bacterial tonsillitis look similar, a throat swab may be taken to differentiate between the two. Results of a rapid strep test (throat swab) are usually available within approximately 30 minutes. If a strep culture is sent to a lab for confirmation, the results may take 24 – 48 hours. In severe or complicated cases, blood tests and/or imaging tests may be ordered. Treatment depends on whether it is a bacterial or a viral infection, which is usually determined by a throat swab. If the infection is viral, antibiotics will not help, but if bacterial (approximately 15% of tonsillitis cases), antibiotics can be prescribed to help with recovery. The penicillin class of antibiotics is the most commonly prescribed, and in some cases steroids are prescribed to help with inflammation. In some cases, the tonsils may just be swollen but not painful, or will only remain painful for a few days, and will naturally go away by itself without the need for treatment. In severe or recurring cases, a patient may be referred to an ear, nose, and throat specialist (ENT) who will also manage any surgical procedures that may be necessary, such as a tonsillectomy (removal of tonsils). Reasons for tonsillectomies include recurrent bouts of tonsillitis accompanied by pain and high temperature, chronic tonsillitis, frequent ear infections associated with tonsillitis, breathing difficulties due to enlarged tonsils, or abscesses forming in the throat. In extreme cases, hospitalization may be required for patients experiencing complications which lead to airway obstruction. In some cases, an operation is required for peritonsillar abscesses, which are collections of pus that develops in the tissue surrounding the tonsil. The required treatment for this complication is surgically draining the pus from the abscesses. If tonsillitis is left untreated in severe cases, an individual with strep throat may develop a rheumatic fever which can cause severe damage to the heart, joints, brain, and skin. Gargling aspirin (aspirin should never be given to children).